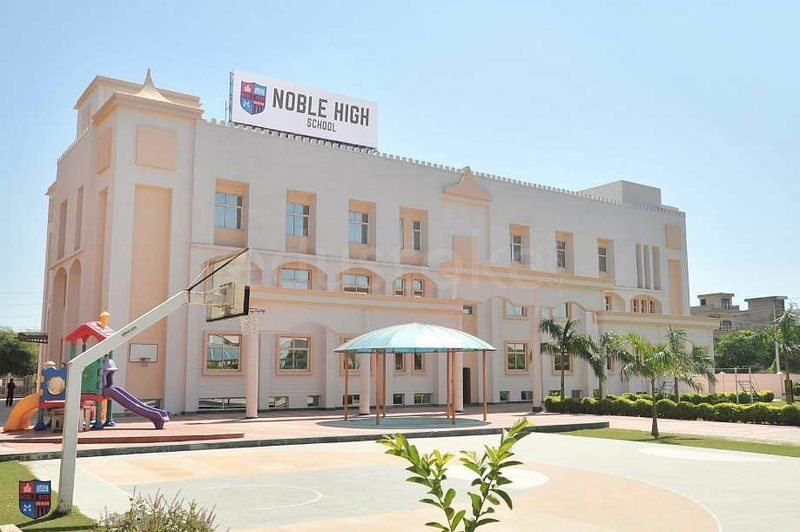 Over 200 parents of students studying in Noble High school in Gurugram, protested on Monday after they got a message on their phone that the school will be relocated to sector 40 from sector 57. "On Sunday night around 11 pm, we received the message. We have objections over the move of school which has decided to shift it in the midterm. We have a strong demand to run this school till this academic session, ending in March," said Harsh, a parent of two daughters studying in nursery and a son in class 1 in the same school. The decision of school management is severely hurting parents of kids studying in the school. "I got admission of my 4-year-old son in the school as it is located near proximity with my house. Now, school management has decided to shift it to sector 40 which is far away from this place and not suitable for my son to travel such a distance," said another parent Lokesh Agarwal. Parents have alleged that the school administration has not been paying the salary of their teachers from last three months and hence they have stopped taking classes. Gitika Madhu, one of the teachers of Nobel High School said: "I have been working here from past two years and the management has not given us our salary since November 2018." "We were told to cooperate for 10 to 15 days in November, but..." she added. Mansi Verma, another teacher said: "School management also asked us to use our own phone for random calling to attract potential parents for admission of students." Following the joint protest of parents and teachers, district education officer Sneh Lata visited the school to access the situation. She said that the principle and top brasses have escaped from the school. "During the inspection, I have asked school staffs to submit necessary documents pertaining to recognition of school. We have also directed them not to shift school till academic session will not end," Lata said. "If school management will go against it, we will take legal action including FIR against principal, directors and other top brasses of school," she added.